In the season when the flowers are in bloom, all you need are these 5 luxury bag series to hail in the colourful shades of spring. For a walk in the warm afternoon or a picnic by a suburban lake, here are the bags to complete the outgoing and brisk looks from your springtime wardrobe. The meticulous construction for pockets, gold zippers and adequate space of the dark green and military-like flat pouch and bright orange peek-a-boo bag make the collection a thoughtful one. Adding pleasant charm to these bags are the attentive labels for your knick-knacks. 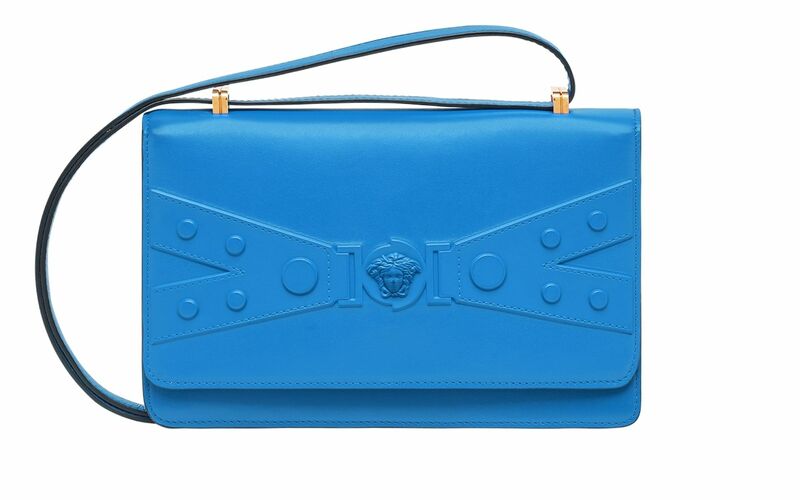 Rejoice in the punk colours of Dadaism with Aigner’s interpretation of the art movement. Witness the traces of modern art in the collection with the clashing blue and red of Alia handbag, the cool green Fiorentina mini-bag and the printed patchwork of Zoe shopper bag. Helmed under the German word for ‘air’, MCM’s Luft collection is inspired by freedom of movement that can be withheld from air-based sports such as sky-diving. The stance of going beyond standard colour pairings; neon tints and sequence of printed logos on leather are the main spectacle of this spring campaign. Drawing from her recent travels to Japan, artistic director Clare Waight Keller incorporates Japanese-inspired prints and textiles in the spring collection. The animalistic leather bag in leopard suede and the pink diamond quilted leather pocket bags feature the combination of East Asian style and 80s theme. Giving a modern twist on Baroque art is the Versace Tribute X 2019 collection with the eye-catching and robust red tote and deep sky blue shoulder bag. Taking a minimalist approach to the iconic Tribute collection; the House’s signature medallions are engraved in the designs mirroring that of marble sculptures.